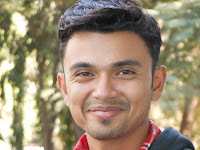 How To Write Blog Post Titles Search Engine Friendly ? Nearly 80% percent of the traffic that you receive from Search engines depends on your Post title. Titles are termed as second to Content. Content is surely the King in SEO terminology but Titles follow just after in priority. If blog authors dedicate a minimum of their attention towards how they write their blog post titles then I believe there is nothing else left to optimize. Search engines need a reason to rank you higher in a particular topic and you must know how to provide them with a good reason. Learning SEO is the simplest yet the most important thing when it comes to earning Online and we all should know how to make proper use of this art. So lets look at some useful tips that have always helped me and thousands others. What is an Optimized title? 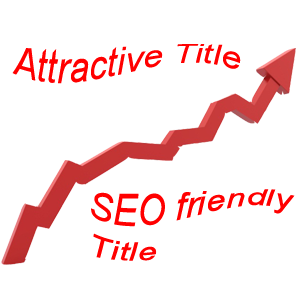 An optimized title is one that succeeds in drawing maximum attention of search engine robots towards itself. The simplest way to understand how to develop good SEO skills is to treat search engines like humans and take their likes and dislikes as those of humans. Using this approach here are some of the things that you must know while writing a title. And again its not a philosophy subject with thousands of confusing things to remember. I am just sharing few tips that work and make sense. The three tips below are more than enough to understand what exactly is a search engine friendly title. 3. Make your title Attractive! Always research the words that you use. Using smart words bring smart results.To know which word is used widely globally then you must research it using Google Keyword tool. Simply Write one word per line and hit the Search button to see the results.Use The Keyword Which Has High Search Volume this will grab you More Traffic. Always use this tool for keyword analysis. It takes minutes to know what keyword you should use. Web masters and even most search engine optimizers use repeated keywords/phrases that are relevant to their site. Though this seems like a great idea, you're actually destroying your chances of being ranked higher on a particular category on search engine results. Search engines gives importance to keyword density i.e Keywords per line. So if you use too many keywords in your title then you are simply making your title more confusing to search engines and they will take it as a spam. Google displays about first 66 characters of your title and yahoo displays 120. The rest of the title is chopped off. Why should your article be ranked higher by search engines? You must prove it to search engine robots that your title is the best in every aspect. Keep robots and your readers always in mind. Robots love keywords and short titles and readers love what attracts them the most! Always analyze your keywords using Google Keyword tool. Always try to end your title with a question mark or an exclamation mark when necessary.